Most of us are preparing so much for future events that we forget to enjoy what today has to offer. Instead of enjoying and appreciating what we already have, we spend our time preparing for what will make us happy in the future. Imagine waking up with a profound sense of déjà vu. Today seems to be starting out exactly the same as yesterday did. You know it is February 3rd, but everyone else seems to think it is February 2nd. Everyone is doing exactly what they did yesterday. The radio is playing the same music and the newspapers are covering the same stories. Even the questions, I mean answers, read on Jeopardy are the same. Day after day this phenomena repeats itself. The cycle has no end. Even when desperation drives you to kill yourself, the dreaded day starts all over again. Despite your better judgment, you think to yourself, "Maybe this is Hell." The movie, Groundhog Day, has a similar story-line. 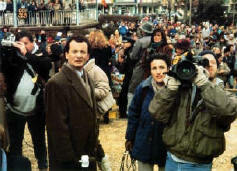 Phil (played by Bill Murray) is a selfish, obnoxious, and sarcastic TV weatherman who is sent to the small town of Punxsutawney to report whether or not the groundhog sees his shadow. Phil can’t stand this small-town mentality and resents being put on this assignment. This is one day he would love to forget, but he can’t. It just keeps repeating itself. Of all days to relive, this is probably one of the worst. Phil goes through a variety of emotions. At first he is confused and scared. After a while he begins to realize, if there is no tomorrow, then there are no consequences for his actions. He engages in a large variety of activities such as overeating, trying to outrun the police, robbing an armor car, etc. He learns, like many other unfortunate people, unbridled pleasure is not fulfilling. He is left feeling empty and unsatisfied. Phil turns his sights on a new conquest; winning the heart of a fellow reporter, Rita. Everyday he talks to her, asking her questions about what she wants in a man and what she cares deeply about. Everyday he builds on what he has learned from the previous day. Eventually, he learns exactly what to say and do to make her fall for him in one day. It is the perfect day with the perfect guy. His motives, however, are impure and he ends up getting slapped. He tries it again the next day and again gets slapped. Day after day he gets slapped. The adventure of his conquest starts to grows old. Although he wants his conquest, his heart is no longer in it. He is just going through the motions. Even this pursuit loses all meaning and fulfillment. His pleasure turns to despair. He figures the only way he can break this cycle is to kill himself. 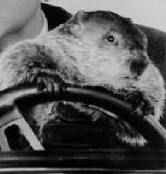 So, one day he kidnaps that troublesome groundhog and drives a truck off a cliff. To his horror, he is still stuck in the cycle. 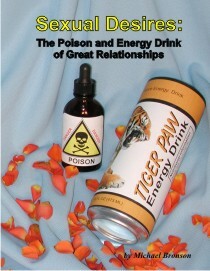 He tries every possible way to kill himself, but the dreaded day keeps reappearing. Waking up after dozens of "successful" suicides, he concludes he must be a god. He points out to a friend that he is not the God, but just a god. His friend responds, "You are not God. Trust me on this one. This is 12 years of Catholic school talking." Phil responds, "Well, maybe God is not actually all-knowing. Maybe He’s been around so long, it just seems like He knows everything." Phil turns away from thinking he is a god. Yet, he is so unhappy. What, then, is he going to do with his eternity of days? Seeking his own pleasure and ambitions has left him empty. This is where his life makes a positive change. There are two things that change in his life. First, he starts thinking about others instead of himself. Since he has experienced this day thousands of times, he knows exactly when an old lady will have a flat tire, when a child will fall out of a tree, and when a customer will choke on some food at the local restaurant. Everyday he makes sure he is there to help them in their time of need. The second change is his decision to live in the present. He has a choice of despising each day or enjoying it. He decides to make the most of the time he has. So, in between helping other people, he starts improving himself. He learns to play the piano. He studies counseling and medicine. He uses these skills for the benefit of others. Phil learns to accept the life he has been given. Since he is no longer seeking personal gain, others are attracted to him. Since he has learned to live in the present and to be content with whatever life brings him, his eternity of days is no longer viewed as a curse. Phil is a changed man. Although he is no longer trying to win Rita’s heart, she becomes attracted to him. He inadvertently becomes her ideal man. Once Phil changes from the inside out, the mysterious cycle of days suddenly disappears. Just as his nightmare came without notice, it also left without notice. There is much we can learn from this scenario. One of the most important lessons is to live in the present. Most of us have difficulty living in the present. We are continually looking forward to a future event. We are often unhappy with some part of our present circumstance and we assume, life will be more enjoyable when these problems are resolved. For example, we may say, "When I get married …" or "When I have a baby …" or "When I finish college …" or "When this pain goes away …" or "When I lose 40 pounds …" In reality, if this problem does go away, there will always be another to take its place. Maybe the future event you are waiting for is Heaven. You might be thinking, "When I get to Heaven and rid myself of this crippled body…." or "I can’t wait to get to Heaven to get out of this terrible marriage…." With some people, it may even be something like, "I can’t wait to get to Heaven to get all of my rewards…. " We are so preoccupied with waiting for or preparing for some future event that we completely miss out on the present. Sometimes we view time only as the space between points A and B. We endure this time instead of living it to the fullest. Take a close look at your life. Are you living in the present or are you just enduring the present in anticipation of a future event?